After Lee leaves hospital to further recover from being shot, Ryan takes them on a long weekend. They stay in a hotel and enjoy one another's company, taking strolls on the beach and eating in the local pub. During one beach walk, one of their old adversaries shows up, letting Ryan and Lee know in no uncertain terms that the gang leader hasn't finished with them yet. Ryan has always brushed off the fact that some people are anti-gay, but now he is forced to accept that as much as he wishes people would just leave them alone, you don't always get what you wish for. 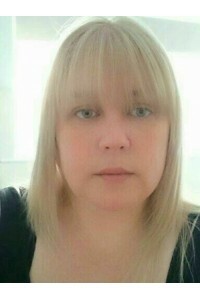 Sarah Masters is a multi-published author in three pen names writing several genres. She lives with her husband, youngest daughter, and a cat in England. She writes at weekends and is a cover artist/head of art in her day job. In another life she was an editor. Her other pen names are Natalie Dae and Geraldine O’Hara. Sarah also co-authors with Jaime Samms, and as Natalie Dae she co-authors with Lily Harlem under the name Harlem Dae. Share what you thought about Blinded: Part Four and earn reward points. You used to be an editor, so how much has this aided your own writing process?